At thirty-eight, Lydia Blackwell was a striking woman, taller than most, but not quite six-foot, with long, flowing black hair and hazel eyes in which many men could lose themselves. Many men, however, would not. It took several years for Lydia to realize that men didn’t make her heart beat faster. It wasn’t until college that she discovered her real self, thanks to a beautiful, blonde study-partner. Something in her had captured Lydia’s heart and she was never the same again. To many of her friends, it had just been “experimenting”. But this was Lydia’s life, her soul, and her very being. Still, it wasn’t everything. For years, Lydia kept her innermost thoughts and her secret life to herself. Her father would never have understood her way of thinking—of being. It was possible he could have made the assumption. After all, there were no men around and no children. There were so many things she couldn’t discuss with her father, nothing resembling emotions, or even people about whom she’d felt emotional. No, nothing like that. Certainly not even Danielle. Oh Danielle. Lydia’s mind drifted away as she traveled the open road closer to her father’s house. Danielle Baldwin certainly had issues, but issues were Lydia’s specialty. Lydia was a psychotherapist and ran her own practice in a posh suburb of Chicago. Five years had passed since she first saw Danielle smile, and now Lydia held therapy groups out of her home. So much had changed, yet somehow the feelings remained the same. 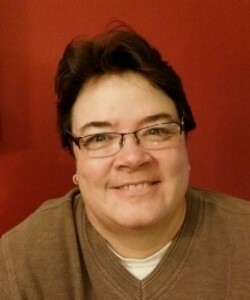 Julie A. Burns is a native Iowan born in Marshalltown, Iowa and raised in Davenport, Iowa. After her parent’s divorce at age 7, she took to writing, whether it was her diary or poems about people she met or situations that bothered her. After graduating from high school in 1983, she spent time working as a Nurse’s Aide in different nursing homes in Iowa. In 1989, she gave birth to a daughter, Brittany and raised her as a single parent. In the same year, she enrolled at Iowa State University in Ames, Iowa. She graduated with a Bachelor’s Degree in Sociology in 1994. Since then, Julie has spent time working with developmentally disabled adults and the mentally ill throughout Iowa and also in Wyoming, where she lived for 6 years. Julie currently lives in Waterloo, Iowa with her spouse. When she’s not writing, she enjoys being a grandmother to 3 year old Sophie. 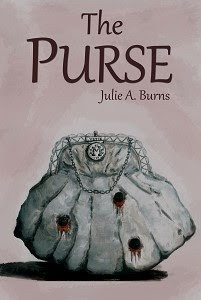 Julie will be awarding 1 printed book of The Purse or 2 ebooks (The Purse and a second of their choice) from RRPI to a randomly drawn winner (international) during this tour. 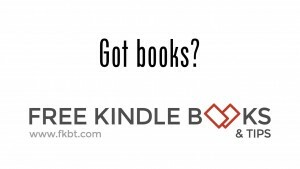 Thank you so much for hosting RRPI's book by Julie A Burns!